ChyronHego has been honored with a Technology & Engineering Emmy Award along with its partners TrackMan and MLB Advanced Media (MLBAM), for their work on Statcast. The system provides a complete ecosystem for real-time sports tracking and visualization that combines TrackMan’s radar-based ball-tracking system and ChyronHego’s TRACAB optical player-tracking solution and state-of-the-art broadcast visualization tools. 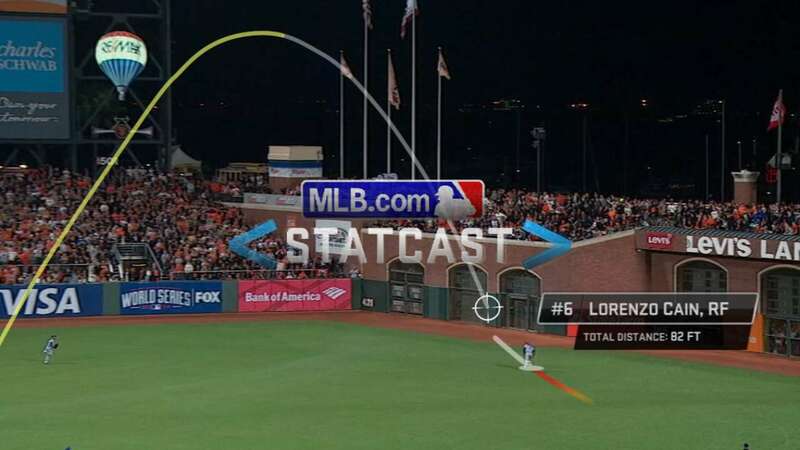 Described in the three companies’ Emmy Award-winning entry, “A Three-Dimensional Doppler Radar System to Track and Display Fast-Moving Pitched and Hit Balls,” Statcast is now installed in all MLB stadiums to provide official ball and player data for on-air presentations of statistics and graphics, including visual tracers of the ball’s flight path. Broadcast commentators are able to enhance their presentations with compelling, data-driven real-time graphics that highlight the athletic ability and strategy of baseball players and teams, such as pitch selection and player positioning. More than 2 million events have now been measured using Statcast, which collects statistics such as pitch speed, pitch spin rate, exit velocity (speed of a baseball after it is hit by a batter), launch angle (vertical angle at which the ball leaves a player’s bat), and distance of a hit ball. In addition, Statcast tracks player position and movement, and combines real-time information with historical data to calculate higher-order statistics such as “catch probability” of hit balls. The TrackMan radar system contributes ball data such as velocity, position, and spin rate, while TRACAB refines player and ball location and displays the ball tracer and other graphics. MLBAM has contributed technology that compares the pitcher’s extension to the average MLB pitcher’s extension to calculate a perceived velocity.